Breakdanceclass is strongly committed to protecting your privacy while interacting with our content, products and services. We want to provide a safe and secure environment for you as our visitor and customer. This policy applies only to breakdanceclass.com and not to other companies' or organizations' websites to which breakdanceclass.com is linked. Information is collected from you only if your consent is given. For example, if you sign up for our free newsletter, you will be required to give us your email address. This email address will be used for the sole purpose of sending your your free newsletter and nothing else. Any information you provide us with will not be sold or distributed to any third party and will not be used by breakdanceclass.com for anything other than the original purpose intended. The second type of information that breakdanceclass.com collects is personal information. breakdanceclass.com will collect personal information that lets us know the specifics of who you are such as your name, email address, or postal address, when you provide it to us. With this information, breakdanceclass.com can send you products, and communicate through email with you. We will specifically ask for personal information about you when you sign up to purchase our products. Certain information may be required, such as your name, age, internet address or screen name, billing address, type of computer, credit card number, in order to provide that service or product to you. How much of your personal information that you choose to disclose to breakdanceclass.com is completely up to you. The only way we know something about you personally is if you provide it to us, for example when you take part in the competition on our website. breakdanceclass.com automatically gathers anonymous information to monitor the use of breakdanceclass.com, like the numbers and frequency of visitors to our web site, very much like television ratings that tell the networks how many people tuned in to a program. We only use such data in the aggregate. This collective data helps us determine how much our audiences use parts of the site, so we can improve our web site to assure that it is as appealing as we can make it for as many users as possible. breakdanceclass.com will only use the personal information you have chosen to provide us for the purpose for which you provided it. breakdanceclass.com will not use it for any other purpose without your consent. There will be occasions where it will be necessary for breakdanceclass.com to disclose your personal information to third parties. We may be required by law to disclose the information, or we may be required to disclose your personal information to third parties to provide the service you have requested, for example, if you purchase products online from us, breakdanceclass.com will need to disclose your personal information to third parties in order to bill and deliver your products. However, the disclosure will only be made where it is necessary to fulfill the purpose for which you disclosed your personal information. Otherwise than stated above, we do not disclose personal information that you may give us, such as your name, address, email address or telephone number, to any organization or person outside breakdanceclass.com unless you have authorized us to do so. For example, when you contribute to an online forum you may want to publish your name and email address. Under no circumstances will breakdanceclass.com sell or receive payment for licensing or disclosing your personal information. 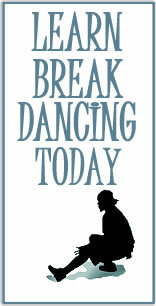 breakdanceclass.com offers a 30 day, no questions asked money back guarantee. Simply email us and we will deal with the issue promptly. breakdanceclass.com. does promise a 200% money back guarantee in the case that you email us with a purchase problem and we do not respond within 48 hours (only applicable for your first inquiry). However, the 200% refund can only be granted on the condition that we received the email you sent. If for ANY reason, breakdanceclass.com does not receive an email in our inbox (i.e. the email sent is infected with a virus, rejected due to spam or our servers are down) we are not responsible for providing you with the refund, however we will work to sort out the problem as quick as possible once a valid email does get to us. By purchasing this guide and associated courseware, the purchaser agrees to all terms and conditions. breakdanceclass.com assumes no liability for any misuse of its products. The products provided by breakdanceclass.com are intended for educational purposes only and the outcomes from these outcomes based products will vary .